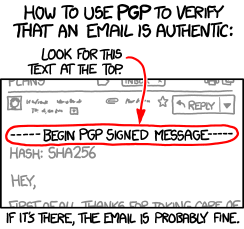 I've been working on securing my postfix configuration to enforce certificate validation and encryption on some known, higher-volume, or more sensitive connections between SMTP servers (port 25). If you've recently completed a key signing party or have otherwise met up with other people and have exchanged key fingerprints and verified IDs, it's now time to sign the keys you trust. There are several different ways of completing this task and I'll discuss two of them now.